Introducing the Lucky Star Quilt! 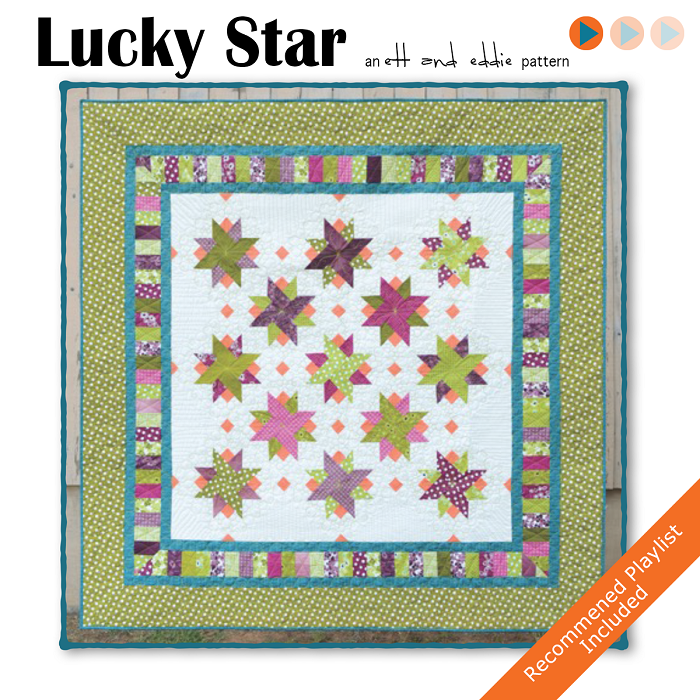 Home » Patterns » Introducing the Lucky Star Quilt! If you came to The Stitch from Pam’s blog and podcast, Hip to be a Square, you might be familiar with our newest PDF pattern, Lucky Star! This particular pattern comes with three sizes and is jelly roll friendly. With one jelly roll and background and border fabric, you can make either the couch size (74″ square) or the twin size (74 x 92″). Throw in a second jelly roll or a partial layer cake and you can make a queen size (94 x 94″)! And, because we love you and want you to have even more choices, we have instructions for both mitered borders OR regular straight-set borders. A choose your own quilt adventures, if you will. 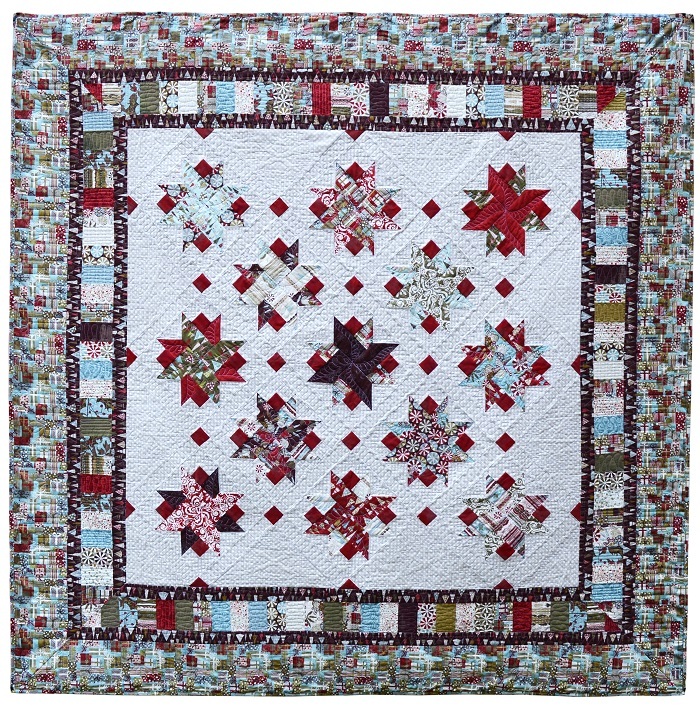 Lynn made a Christmas version using a Basic Grey holiday line from Moda and quilted some gorgeous poinsettias in the spinning stars. This is the version that hung in Tiny Stitches in Marietta GA.
And here’s Pam’s original quilt that started the whole thing. It’s pretty close to the queen layout in the pattern, and is made from a Kate Spain Christmas line. You can read more about the original on her blog. 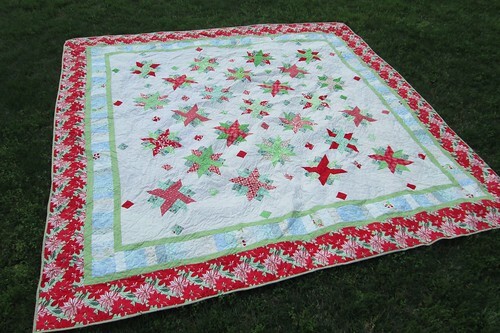 Although we have two Christmas versions of the quilt, the name is pure Madonna, of course.